If you want a side by side comparison of Pinot noir and Chardonnay from two of the best regions in the world – Oregon and Burgundy- plan a stop at Oregon’s Domaine Drouhin. Some of the students from my Wines of the World class at Chemeketa’s Northwest Wine Studies Program joined me for an exploration. 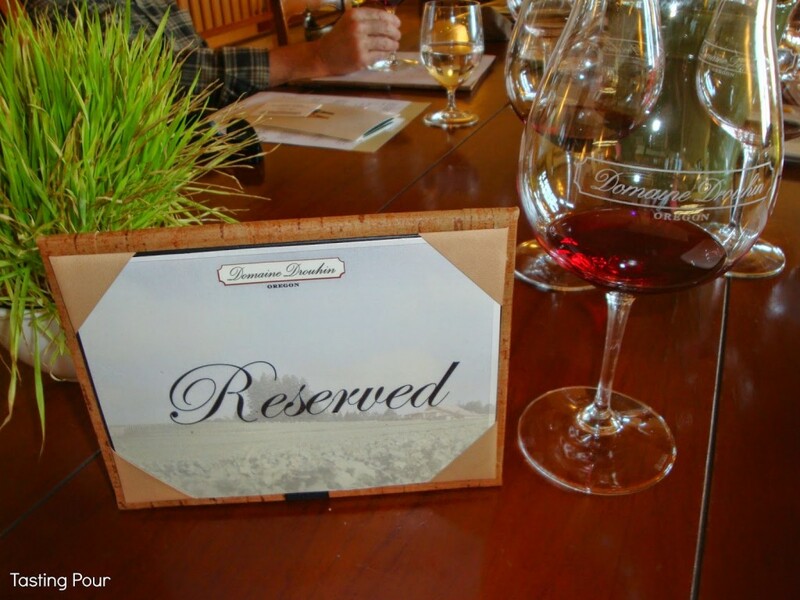 The Drouhin Experience Winery Tour: Oregon and Burgundy Compared is open to the public and somewhat tailored to the group. It includes a vineyard and winery tour plus a comparative tasting of Oregon and Burgundian wines. Our group was a mix of wine making, grape growing, and wine marketing students and our host, Steve Krug, indulged all of our geeky questions. For me it was the story that was most interesting. Robert Drouhin (grandson of Joseph) got a “good taste” for Willamette Valley Pinot noir during a 1979 blind tasting competition in Paris. David Lett of Eyrie Vineyards (known as Papa Pinot because he was the first to plant Pinot noir in Willamette Valley) had entered his wine in the competition. Little old Oregon Pinot noir placed 3rd against Burgundian competitors. In 1980 there was a “rematch.” The Burgundian winemakers had upped their game but so had Lett. Lett’s wine placed 2nd. When Robert Drouhin’s daughter, Veronique, was ready for a winemaking internship, Robert knew just the place to send her. 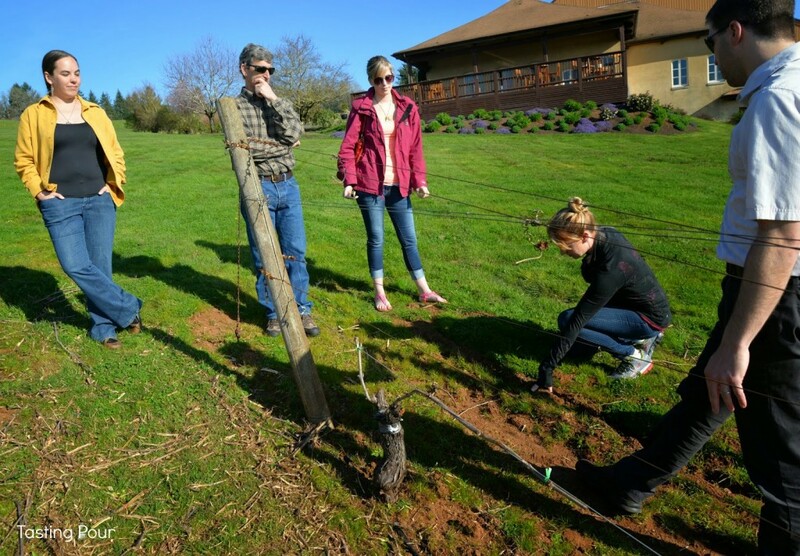 Working at Eyrie, Bethel Heights, and Adelsheim, Veronique also developed quite the taste for Oregon Pinot noir. By 1987 David Adelsheim had told the Drouhins about some potential vineyard land for sale in Dayton – voila the renowned Joseph Drouhin Cellars of Burgundy found an Oregon home as Domaine Drouhin. Today Veronique is still the oenologist working in Burgundy and Oregon while her brothers run various parts of the family business ie. Frederic in a “General Manager” role, Laurent in US Sales, and Philippe in charge of vineyards in Oregon and Burgundy. After the tour our group enjoyed a side by side comparison of Drouhin wines. 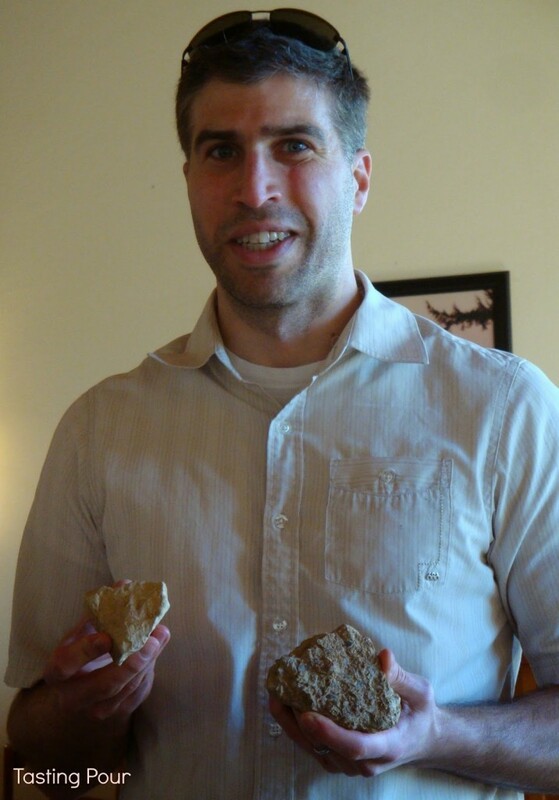 Krug passed around samples of limestone and Kimmeridgian clay from Burgundy and Jory from Dundee Hills. He was also knowledgeable about vintage conditions in both locations and the effect on the finished wine. We compared 2013 Domain Drouhin Oregon Chardonnay Arthur and 2012 Joseph Drouhin Chablis Fourchame Premier Crus. Chablis is the northernmost part of Burgundy where frost and hail can sometimes wipe out an entire crop. This is where we find the Kimmeridgian clay – a well draining clay limestone mix encrusted with oyster shells and fossilized marine critters. Chardonnay from this region is clean, crisp and full of mineral flavors from the signature soil. This Chablis was more aromatic and fuller textured than I anticipated – a lovely surprise. The Chardonnay from Oregon saw judicious use of oak with half aged in French oak (no more than 20% new). This was a favorite of the group and the Domaine Drouhin supply was a little lighter when we left. 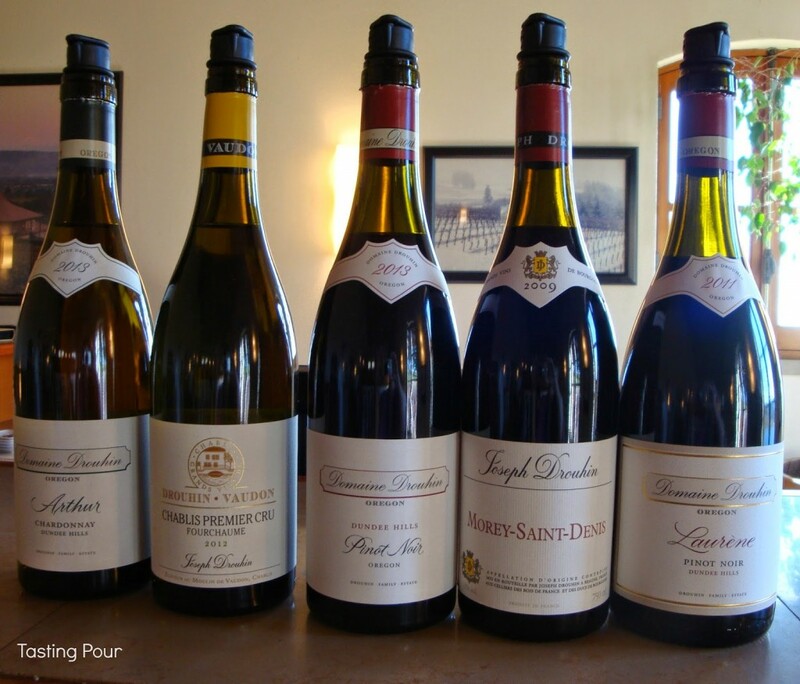 The Pinot noir comparison included 2013 Domaine Drouhin Oregon Dundee Hills, 2011 Domaine Drouhin Oregon Laurene Cuvee, and 2009 Joseph Drouhin Morey-Saint-Denis (from Burgundy.) This was a comparison of place as well as vintage. In Oregon 2011 was a cool year and we saw that in the restrained aromatics, higher acidity, and lighter body. This wine should continue to improve in bottle. In Burgundy 2009 was a nice warm, easy year – similar to Oregon’s 2009. These wines have softer tannins, richer fruits, and are ready to drink earlier than some Burgundians. I haven’t drawn conclusions about Oregon’s 2013 Pinot noir. They are still young and I haven’t tasted very many. I am looking forward to that research. Thanks to Domaine Drouhin for hosting our student group. For an opportunity to delve into some Oregon wine history plus experience guided comparative tasting – this tour is highly recommended.